It’s a whole different world in the winter. As the group departs the base on the smoothly groomed ribbon of snow, they pass through open fields blanketed in white, and enter the hardwood forest. If the weather has been calm since the last storm, the tree limbs may be frosted with snow, a contrast of dark branches topped by glistening white crystals. 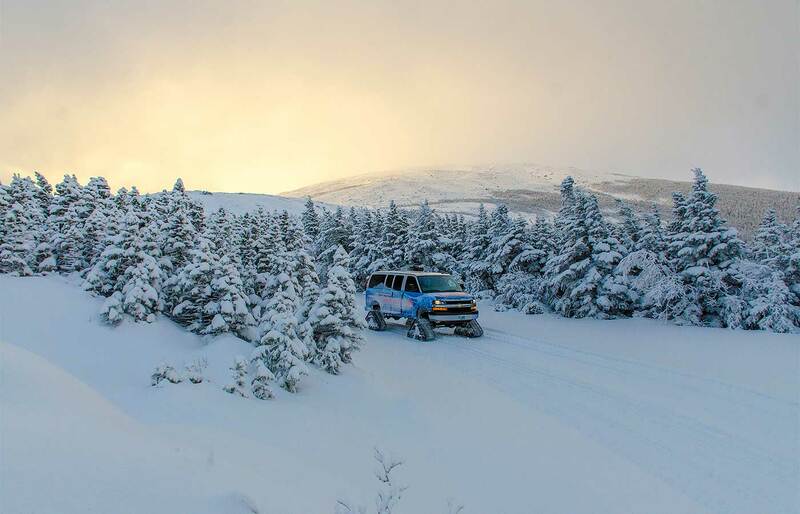 The vehicle tips upward, ascending the grand mass of the mountain which is Mount Washington. 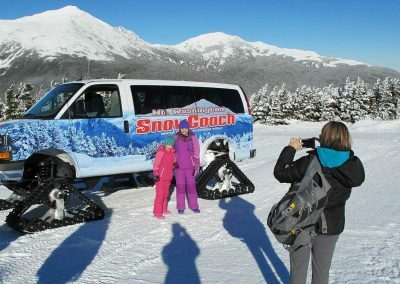 This is the SnowCoach, traveling up the Mt. Washington Auto Road with its driver and load of passengers to the subarctic world on the Northeast’s highest peak. 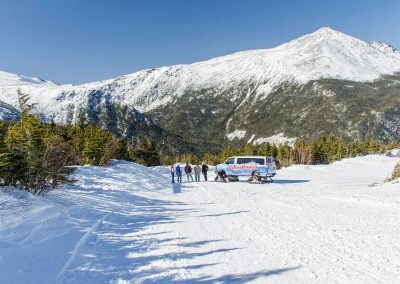 When the Mount Washington Summit Road Company first opened the Great Glen Trails Outdoor Center in 1994, one of the activities offered was a ride up to “Halfway” on the Auto Road, using a diesel-powered snowcat outfitted with a passenger cabin. The idea was to provide transportation for free-heeled skiers to descend the bottom half of the road, which was being groomed simultaneously each run by the “cat.” The plan proved to be cost-prohibitive, but the idea of a winter tour to this environment, with its unique snow-laden scenery, was established. 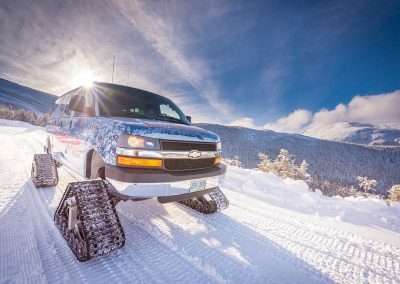 The company shifted from using the snowcat to using a 12-passenger van with an aftermarket 4-wheel drive and special track system, naming this vehicle, the SnowCoach. 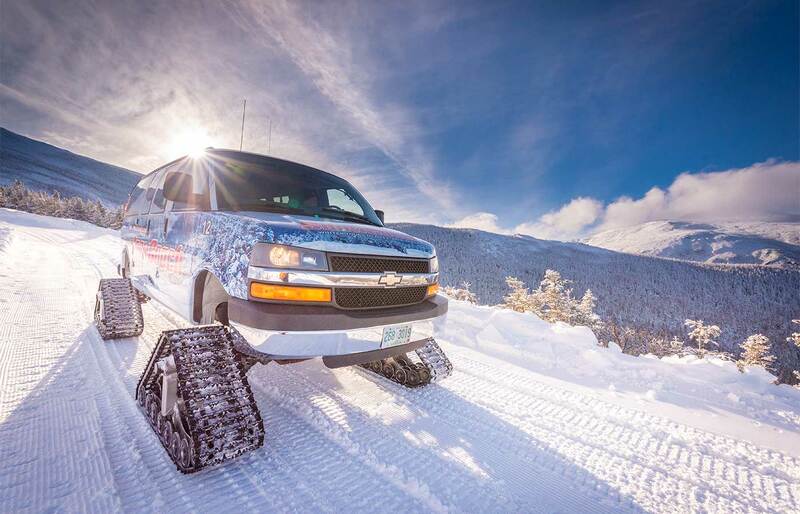 With the SnowCoach tours gaining in popularity, Auto Road General Manager Howie Wemyss sought out and found a new lighter-weight track system for the coaches several years ago: the Dominator XL, made by American Track Truck. This track system has proven to be a major improvement, and the Auto Road now has five vans equipped to serve as SnowCoaches in the winter time. These vans have also been converted to bi-fuel, enabling them to run on cleaner-burning, less expensive propane or conventional gasoline. It’s still very dark out when Auto Road Maintenance Manager Rick Rogers arrives to check the SnowCoaches for the day. They’ve been parked inside, so that the snow and ice that’s accumulated during the previous day’s trips melt off overnight. Rogers performs a thorough inspection of both the track and the van’s mechanical parts—checking fluids, belts, fuel lines, and brake systems. Specific to the track system are checks of the 32 bogey wheels per track, the condition and tension level of the rubber track itself, the hubs and the lug nuts for the proper torque. After years of experience maintaining these vehicles, Rogers is appreciative of how very customized the current SnowCoach setup is for operation on the Mt. Washington Auto Road. By 8 a.m. each morning, the SnowCoach drivers of the day have arrived and begun going through their own checks of the vehicles. Long-time veteran SnowCoach driver Dexter Rust has reviewed the weather forecast on the Mount Washington Observatory’s website while at home, influencing his choice of clothing for the day. 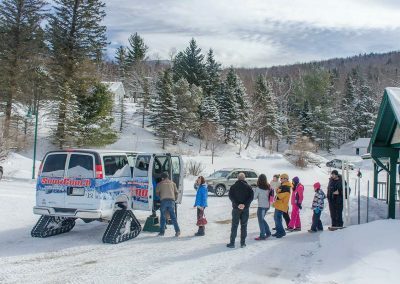 While the SnowCoach is heated, providing a very comfortable environment from which to experience the tour, drivers invite their passengers to exit the SnowCoach for 10 to 15 minutes at the “Top of the Tour,” to take in the views, make snow angels, snap photos, etc. Driver checks include the track system, the vehicle interior, and the cleanliness of the all-important windows for clearest viewing! As Dexter makes his way up the groomed surface of the lower Auto Road, he points out areas of natural interest: a hillside where small mammals den up for the winter with the tracks of their predators visible in fresh snow; the transition from the hardwood-dominated forest of beech and maples to the conifer forest of spruce and fir. About a mile and a half up, a clearing allows for a view up to Chandler Ridge and even the summit of Mount Washington, if the clouds are absent. Locations on the road are named and have unique offerings. At “Radiator Springs,” Dexter explains that the effects of the northwesterly winds begin to be visible in the vegetation. At “Oh-My-God Corner,” the trees have become very short despite their age, as the high winds and tough growing conditions limit their growth. The snow-capped peaks of the northern Presidential Range may come into view, along with the giant chasm of the Great Gulf. 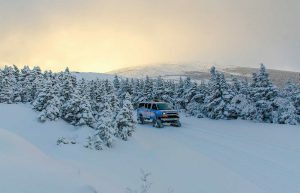 When the SnowCoach reaches its high point for the day, the Top of the Tour, the group will have travelled through four different landscapes, mimicking a journey from southern New England to Newfoundland. The Top of the Tour varies slightly with weather and road surface conditions. 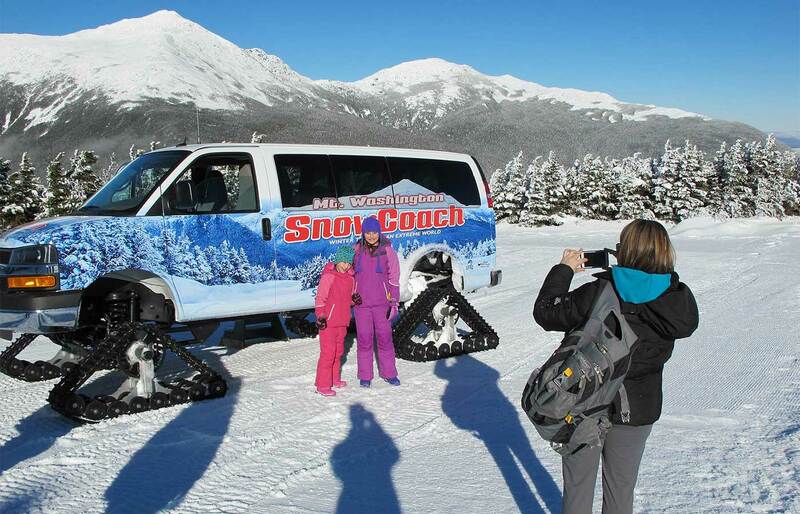 The SnowCoaches often can reach an elevation of approximately 4,200 feet, 4.25 to 4.5 miles up the Auto Road. At this point on the mountain, one has reached the Alpine zone, with the effects of the prevailing winds creating subarctic conditions. Above this point, without trees to block the blowing snow, drifting on the road can be constant and extreme, requiring the use of a bladed snowcat to climb higher on the mountain. 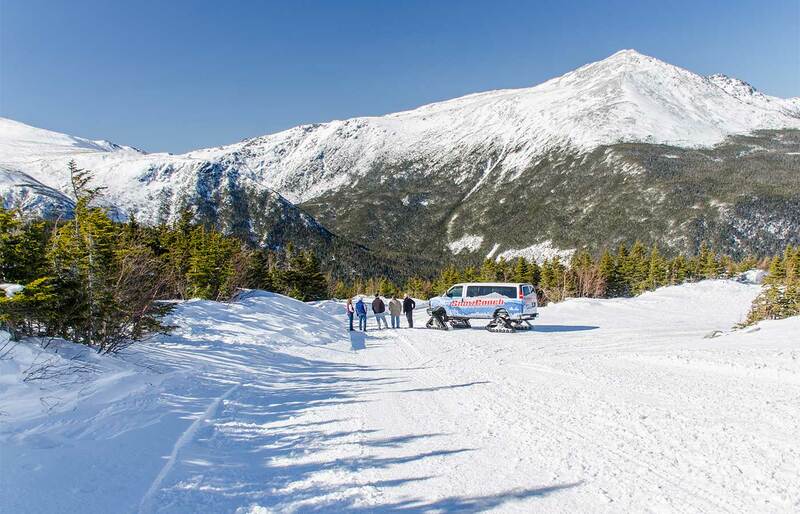 Because of this, SnowCoach tours do not attempt to summit Mount Washington. SnowCoaches reach the Alpine and subarctic zones safely due to night-time grooming by Great Glen’s grooming crew and constant monitoring of the surface conditions by the drivers throughout each day. Each SnowCoach tour is unique and each of the several SnowCoach drivers has personal knowledge and stories to impart. 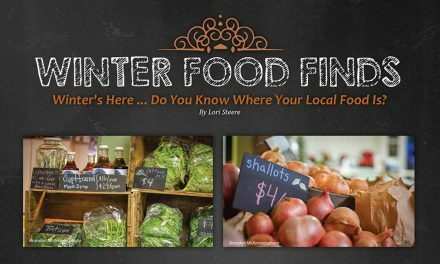 Guests may see the tracks of pine marten, fox, fisher, bobcat, moose, coyote, squirrels, and/or snowshoe hare. They may hear of the heroic efforts to construct the road up Mount Washington over 155 years ago. Reaching the Top of the Tour, Dexter brings the SnowCoach to a stop, positioning it carefully with regard to the direction of the prevailing winds. Mount Washington is famous for its wind, with the summit still holding the world record for highest surface speed (231 mph) directly measured by man. At the highpoint achieved by the SnowCoach, riders may experience hurricane-force winds and blowing snow on an extreme weather day. 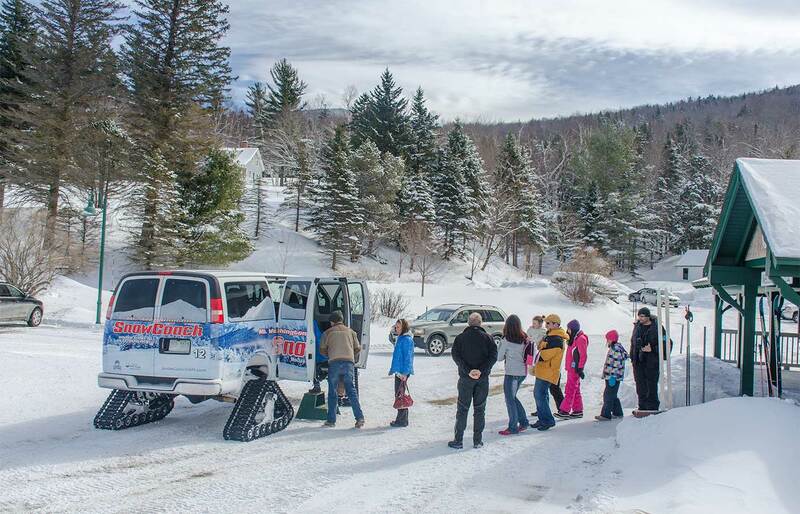 Drivers educate their guests for what to expect, then quickly move from their seat to open and hold the SnowCoach doors for those wanting to disembark. A high wind invites guests to lean forward, ski jumper-like, to feel its force. Even those choosing to stay inside the heated SnowCoach can feel movement by the strongest gusts. The miniature trees of this subarctic zone, encrusted in rime ice, vibrate and appear to shiver. Other days, at the other end of the weather spectrum, the air can be calm, temperatures feeling balmy by comparison. Passengers revel in the beauty of the landscape, snapping photos, taking videos. The view on a clear day beckons. The white-topped peaks of mounts Madison and Adams tower above the Great Gulf to the north. Jefferson’s Knee, a ridge beginning high on Mount Jefferson and dropping into the Gulf, is an especially prominent feature in winter. The snow provides clarity and depth to the landscape’s features that are not nearly so visible in the summer. The western mountains and plains of Maine extend to the east. It is a whole different world that the SnowCoach, with its able driver and now privileged passengers, have reached. 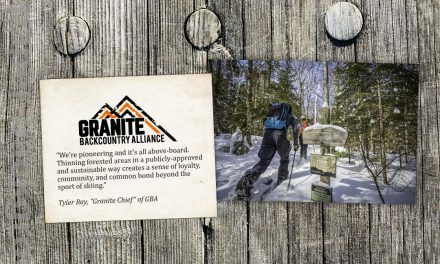 How to take your Snowcoach Adventure to the Next Level! While most guests ride the SnowCoach back down back to base, there are two other options. Riders can choose to snowshoe down the Auto Road, or get dropped off partway down to experience more time in the magical winter environment. 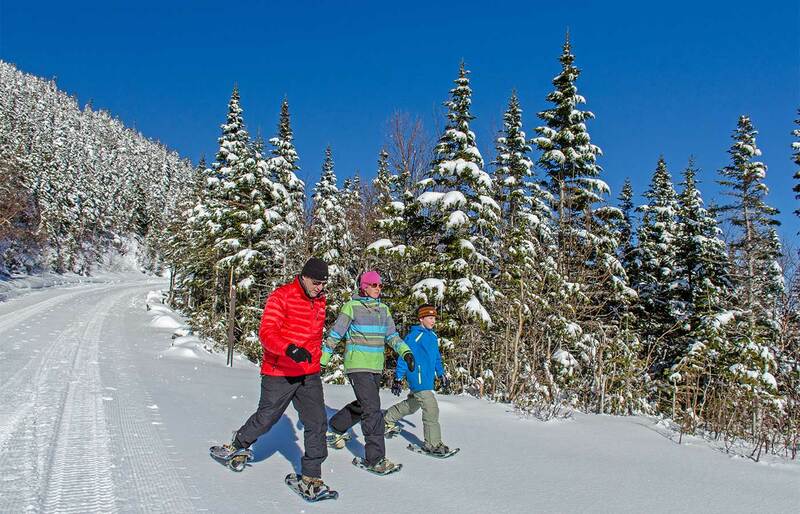 They can use their own snowshoes, or rent excellent quality equipment from Great Glen Trails, prior to their departure on the coach. Or, experienced Nordic skiers can use free-heel equipment to descend to the base. Experience a winter sunrise from the comfort of a Mt. Washington SnowCoach.